The software updates below are for prior purchasers only. Updates Category Test: Computer Version (CAT:CV) version 2.00. Corrects a value in the normative tables for individuals 20-34 years old with 16-17 years of education. Close your existing version of the software. Click on the link above and save the file to your computer. Run the Windows Installer Package (.msi) to install the update. Note: If you subsequently uninstall your PAR software and reinstall it on a different computer, you will need to reinstall the update. Provides updated summary text for Interpretive Reports. This update is for Customers with version 1.20 of the TEC. This update has no effect on TEC versions 1.10 and earlier, which do not include the Interpretive Report. Run the .msi file to install the update. Updates the Hopkins Verbal Learning Test-Revised/Brief Visuospatial Memory Test-Revised Software Portfolio (HVLT-R/BVMT-R SP). Corrects the headers in the export file for HVLT-R data. All scores on the Score Report are unchanged. This update is for Customers with all versions of the HVLT-R/BVMT-R SP. Updates the Behavior Rating Inventory of Executive Function Software Portfolio (BRIEF-SP). Changes the confidence intervals for the scores on the BRIEF Self Report. All other scores on the Self Report, as well as all scores on the BRIEF Teacher, Parent, and Preschool forms, are unchanged. This update is for Customers with version 3.00 to 3.03 of the single-user BRIEF-SP. Existing customers with key (floppy) disk versions, CD versions prior to version 3.0, or multi-user license versions will need to contact Technical Support (techsupp@parinc.com) for information. All other Customers can use the following installation instructions. You will need administrator rights to complete the update, as well as the activation serial number used to initially install the BRIEF-SP. The program will uninstall the current version of the BRIEF-SP software, but leave your current Client files intact. When it is finished, again click on the Download icon and choose Run and Run. This time the software will install the BRIEF-SP. Updates Neuropsychological Assessment Battery® Software Portfolio (NAB®-SP). Adds a new report (Main Modules Primary Score Report) that contains just the most important scores for interpreting the NAB, omitting the secondary and descriptive scores. Users will have the option to generate either or both of the NAB main module reports. The screening module report remains unchanged. This update is for customers with Versions 2.00 and newer. The version number is displayed on the CD face or diskette label. Click on the link above and choose to Run the file. Follow the instructions on the screen. If the NAB SP software is not located in the default Programs directory, you will see a message to browse to the correct directory. Updates Rorschach® Interpretation Assistance Program: Version 5 (RIAP5™), RIAP5: Scoring Program (RIAP5:S™), and Rorschach® Interpretation Assistance Program: Version 5 Forensic Edition (RIAP5™ FE). Corrects a condition where using the radio button method for Form Quality data entry can change the values for Form Quality data for all cards in a given protocol. Also corrects an interpretive statement about EA in the Client Report. Note: This patch is for customers with Versions 5.50 through 5.53 only. Versions 5.00 through 5.40 do not have the error corrected by this patch. The version number is displayed on the RIAP CD face or diskette label. Close your existing version of RIAP5, RIAP5:S or RIAP5 FE. Locate your download directory, right-click the .zip file, and choose Extract. Follow the instructions on the screen. If the RIAP software is not located in the default Programs directory, you will see a message to browse to the correct directory. Updates Rorschach® Interpretation Assistance Program: Version 5 (RIAP5™) and Rorschach® Interpretation Assistance Program: Version 5 Forensic Edition (RIAP5™ FE) versions 5.00 through 5.40. Corrects the interpretive statement about the EA in the Client Report. Customers with versions 5.50 through 5.53 should use the September 2009 download, which includes this correction and other functional updates. Download the update .zip file. If you see a prompt to Save or Open the file, choose Save. Browse to your RIAP5 or RIAP5:FE installation directory. The default folder for both is C:\Program Files\RIAP for Windows. If the system warns you that the file ClientInterpretation2.DAT already exists, say Yes to overwriting the file. Updates version 1.00 only. Subsequent versions (1.01 and higher) include the update. Adjusts raw score to T-score conversion for Autism Composite for Teacher Form, ages under 2 years. Each download will update most versions of the programs listed. Click on the program name to initiate the downloading process. Save the download as a file in a temporary directory on your computer (C:\Windows\Downloads is a good choice). If your Internet browser tries to run the program (instead of saving it as a file), try holding down the Shift key while clicking on the file or right-click on the file and choose Save As. After the download is complete, use the Windows Explorer/File Manager to locate the file, and then double-click on the file to run it. he update program will attempt to find the currently installed version of your PAR software on your machine. If you installed the software to a directory other than the default, you will need to manually select the correct file location. After the software program is located, the update will self-install. Updates prior CAB-SP versions 1.10 and 1.11 to 1.20. Adds ED and SM scales to report. Includes Appendix H of Professional Manual, Emotional Disturbance and Social Maladjustment Scales. See below for special instructions to apply this patch. CAB-SP version 1.00 users should contact PAR Customer Support for a CAB-SP 1.20 CD-ROM. Although your existing CAB-SP Client files will not be deleted during this update process, it is a good practice to always backup those files before updating. Use your normal backup procedure. Client files are usually located at C:\Program Files\CAB-SP\Clients. 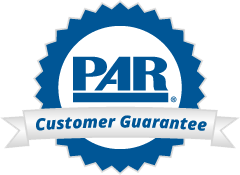 The update program will attempt to find the currently installed version of your PAR software on your machine. If you installed the software to a directory other than the default, you will need to manually select the correct file location. After the software program is located, the update will self-install. Appendix H of the Professional Manual will be downloaded into the CAB-SP directory: CAB Manual Appen H only.pdf. Updates the Adaptive Behavior Assessment System, Third Edition (ABAS-3). This corrects an error with the v1.010 release. Password: Leave empty. No password needed. Download and follow the instructions in the READ ME FIRST - ABAS-3 Update PDF file. This link will take you externally to the WPS website to download the file. If you subsequently uninstall your software and reinstall it on a different computer, you will need to reinstall the update.